There's been lots of talk of impending storms coming our way and that usually means we put away our styling fall shoes and get out the typically boring and un-stylish rain boots but thanks to Sorel Footwear, those days are gone. 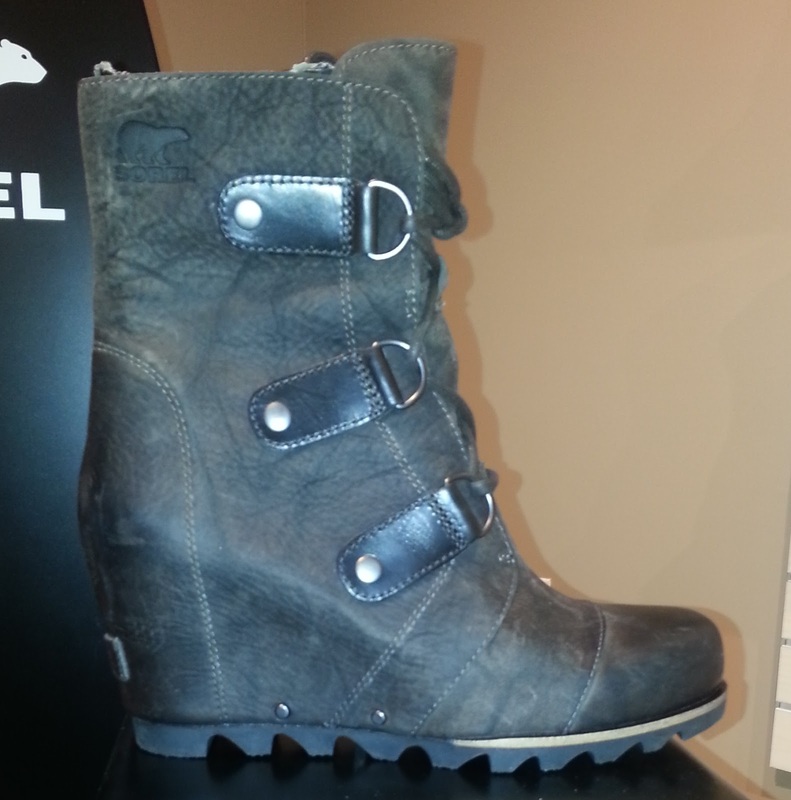 Stay fashionable, comfortable and protected even in a downpour with the Sorel Footwear Joan of Arctic Wedge™ Mid Boot. These waterproof, full-grain leather wedge ankle boots remain feminine and sleek insanely comfortable. This slim, waterproof ankle boot, a spin-off of the popular Joan of Arctic™ Wedge LTR Boot, is built on a wedge platform that makes it perfect as an everyday boot and for walking all over the city. And if you typically find yourself having trouble finding shoes that will properly support your arch? Look no further than these Joan of Arctic ankle wedges, the removable footbed has a built-in arch support that provides prolonged comfort. So when the thunderstorms and river-sized puddles appear, you can be confident that your feet will stay dry and protected. There's no need to bring a change of shoes or extra pair of socks and because it features a molded heel cup along with the arch support, your comfort goes well beyond your 9 to 5. 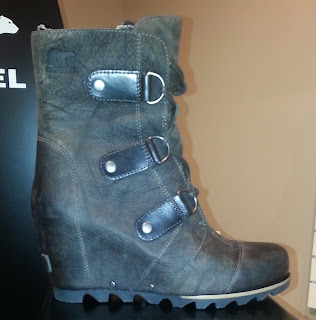 Get these now for $240.00 at www.Sorel.com.